Part of the reward of writing Pardon Me For Asking for me has always been the great pleasure of connecting to others who live, work and create here in the borough of Brooklyn. 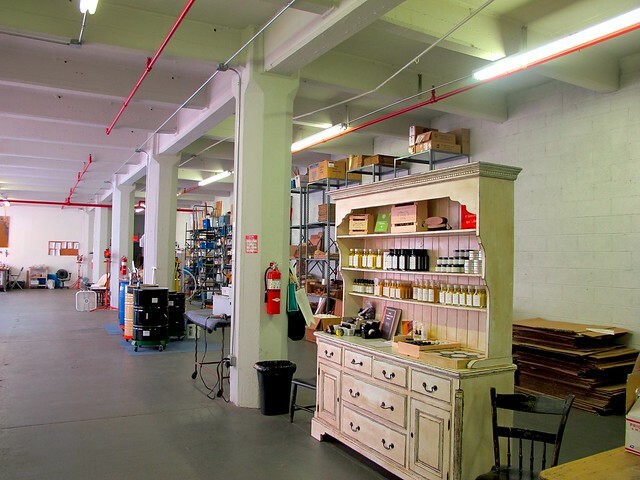 letting me know about a line of wood and leather care products they make in small batches in their large studio on 34th Street in Industry City in Sunset Park. 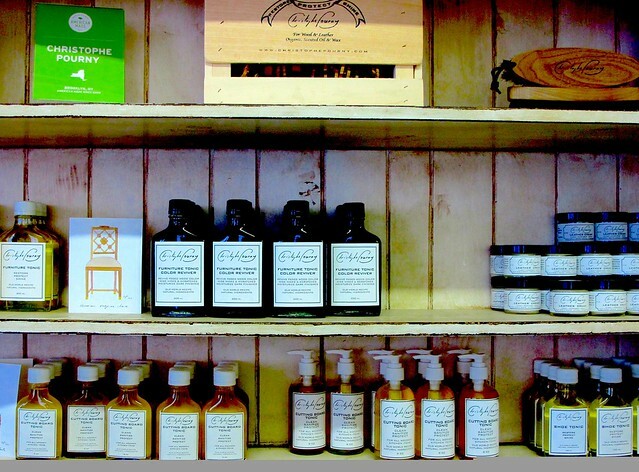 Their products are made of all-natural, nontoxic ingredients that are biodegradable. When Jason invited me to visit them in their work space, I accepted immediately, of course. 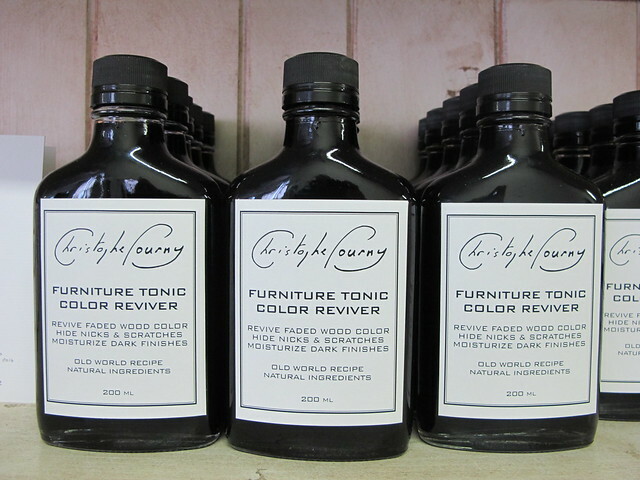 Making natural wood and leather care products according to their own formulas is an extension of Christophe's antique restoration and fine period furniture refinishing business. 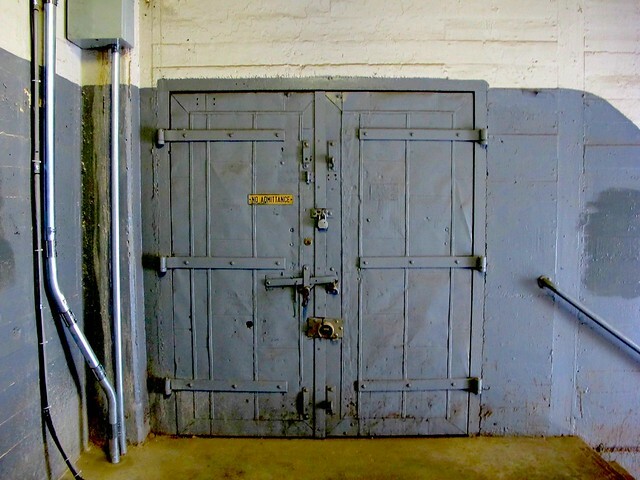 He learned the trade at an early age from his parents, who were antique dealers in the Val region of France. For the past twenty years, Christophe has been working here in New York with some of the most renowned interior decorators in the business. He has been commissioned to conserve some very unique pieces of furniture during his career. Recently, he restored a long-neglected writing desk, which George Washington used in the first Presidential mansion in New York during New York City's two-year term as the national capital. The desk is now proudly displayed in the Governor's Room of City Hall. Currently, Christophe is refinishing paneling at the Holy See Mission to the Vatican here in New York. 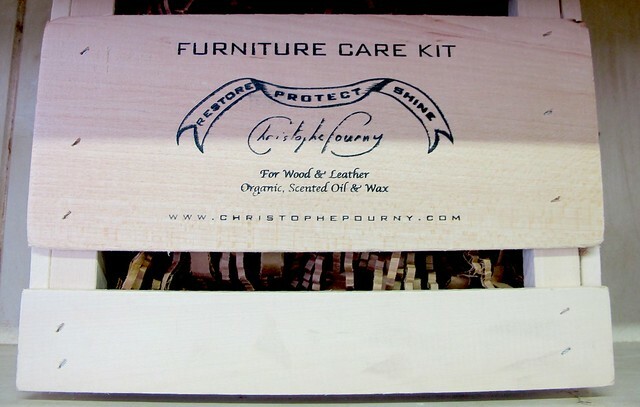 Christophe is often asked how to best care for wood furniture. 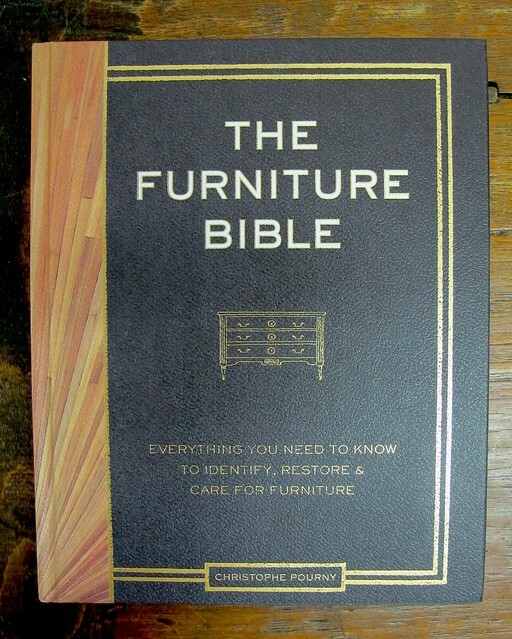 The question prompted him to write The Furniture Bible, Everything You Need To Know To Identify, Restore And Care For Furniture. The book was published in 2014. "Natural waxes and oils are always preferable,' he told me while we watched one of his employees carefully and meticulously apply a wonderful shine to an old tabletop using the french polish technique. 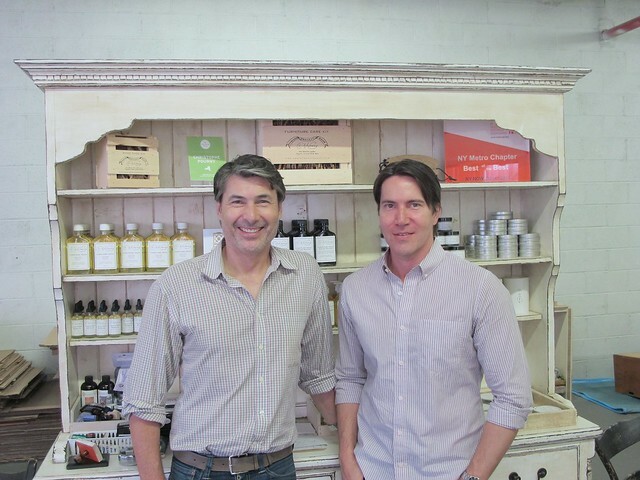 Christophe and Jason, who joined the business five years ago, also had the idea to make available the chemical-free wood and leather tonics they use in the studio. 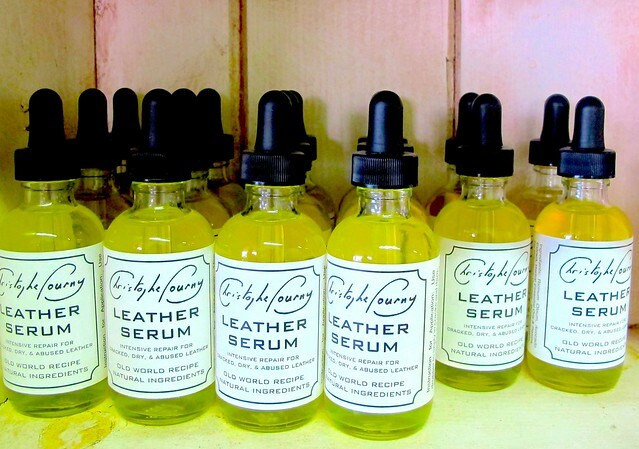 The products can now be bought at Gracious Homes, ABC Carpet, and more locally at Dry Goods on Atlantic Avenue. 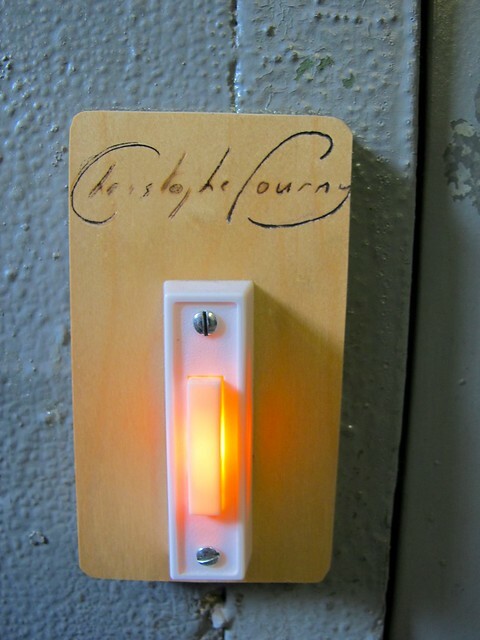 They can also be ordered online at www.ChristophePourny.com. Recently, Jason and Christophe added a cutting board tonic to protect all wooden kitchen items. It is made of walnut oil, scented with just a hint of lemon essence. It smells heavenly. 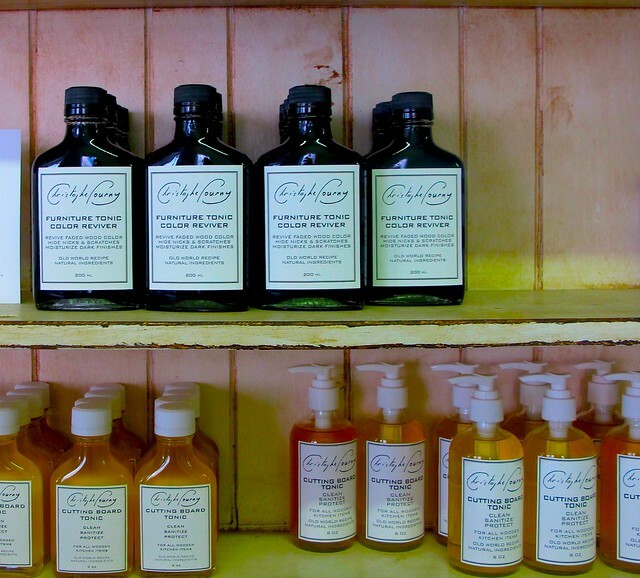 "We were frustrated that most commercial products are just Mineral Oil, which doesn't clean or moisturize, but just coats the board with petroleum," Jason explained to me. "Our formula has white vinegar, rosemary oil, walnut oil, and other natural remedies - so it has sanitizing and moisturizing properties." 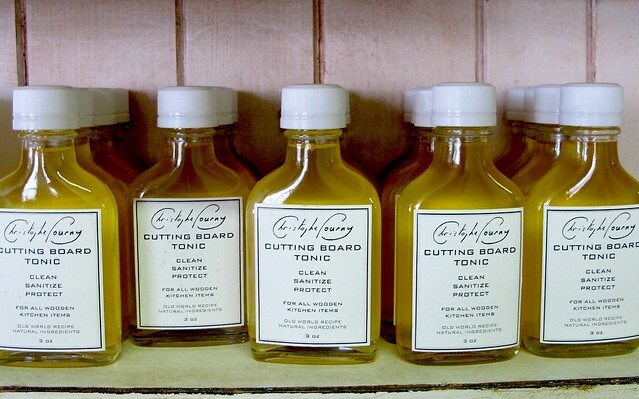 The Whole Foods Market in Gowanus at Third Avenue and Third Street has just started selling the cutting board tonic in a special 3oz. bottle. It costs $9.99. 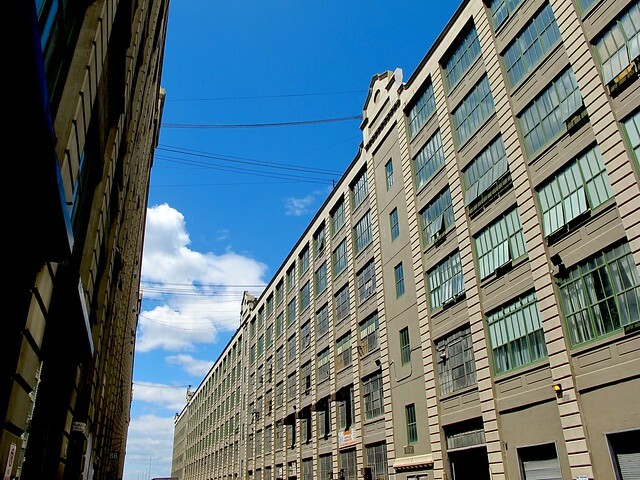 Jason will be at the Gowanus store this Tuesday, May 19th from 11 am to 3 pm to introduce the product, so stop by and say hello to him tomorrow. I would like to thank Jason and Christophe for taking the time to show me some of the furniture renovation work they are currently doing in their atelier and for introducing me to their product line. Labels: Christophe Pourny, Jason Jobson. Yes, he is. And so is Jason. I truly enjoyed my visit to their studio.